I have a favorite Spanish phrase: “Desfruta la fruta”. It means “Enjoy the fruit”. Alliteration is always nice, and even nicer in Spanish. The fact that knows I know this saying just reminds me that Spainards eat more fruit than us. They are smart about many things in the Old World, and I believe eating is one of them. I was lucky enough to live in Seville, Spain for one year during college. Fresh fruit is a staple of the Mediterranean diet. There was always squeezed orange juice for breakfast while apples, pears, bananas, avocados, and strawberries were scattered throughout the rest of my meals. I really enjoyed the fruit that year. I know my digestive tract did too. There are many benefits to fruit-eating. It cleans you out with fiber, it protects your cells from free radicals by being chock full of anti-oxidants, and it helps curb our sugar cravings. A word on sugar, but don’t get me started, but oh, just for a minute. Sugar is poison! Our body doesn’t know what to do with it, and its highly addictive. In studies where rats are given the choice of heroin or sugar, they choose sugar. Does it bother you that I call it Fruit-Eating, like it’s an Olympic sport? The truth is, fruit-eating is a challenge that requires setting goals and sticking to them. You can be a gold medalist in Fruit-Eating if you eat 5-6 portions per day. Try these tips on how to incorporate more fruit in the diet per healthcastle.com. Buy fruits that are dried, frozen, and canned (in 100% fruit juice or water rather than syrup) as well as fresh, so that you always have a supply on hand for a healthy snack. 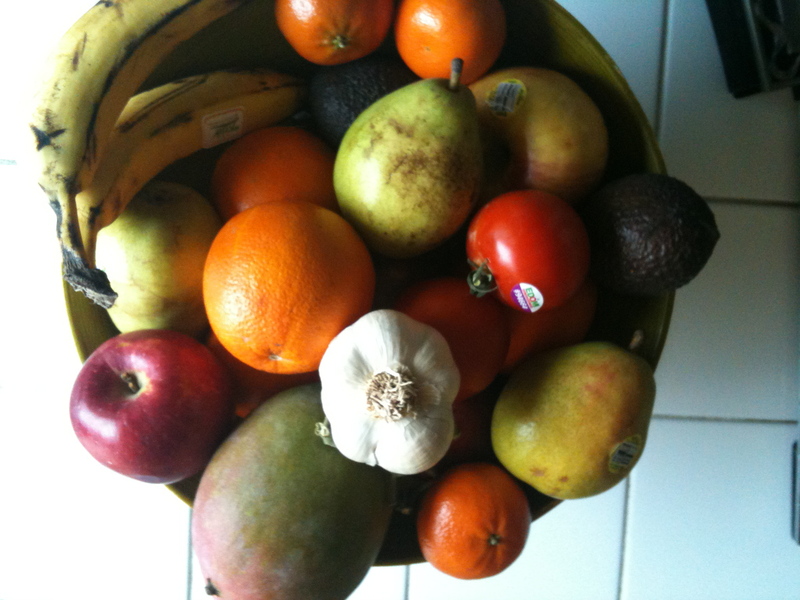 Keep a bowl of whole fruit on the kitchen table or counter for easy access any time of the day. Dried fruit makes a great, portable snack. Because they are more concentrated, 1/4 cup of dried fruit is equivalent to 1/2 cup of fresh or canned fruit. Try dried apricots, apples, pineapple, bananas, cherries, figs, dates, cranberries, blueberries, prunes, and raisins. Top yogurt or cereal with fruits like bananas, peaches, or berries. Make a fruit smoothie by blending fat-free or low-fat milk with fresh or frozen fruit. Fruits make great snacks, but they can be a healthy addition at meal-time too. At breakfast, add blueberries to pancakes. At lunch, always pack a portable fruit like a tangerine, banana, or grapes. 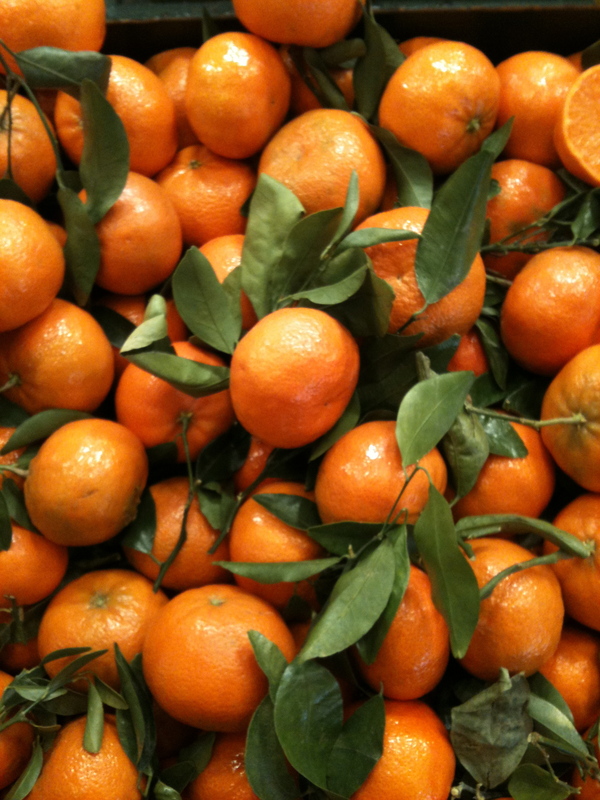 At dinner, include fruit like mandarin oranges or apples with salads. Or try meat dishes that incorporate fruit, such as chicken with apricots and mango chutney. For dessert, have baked apples or a fruit salad.